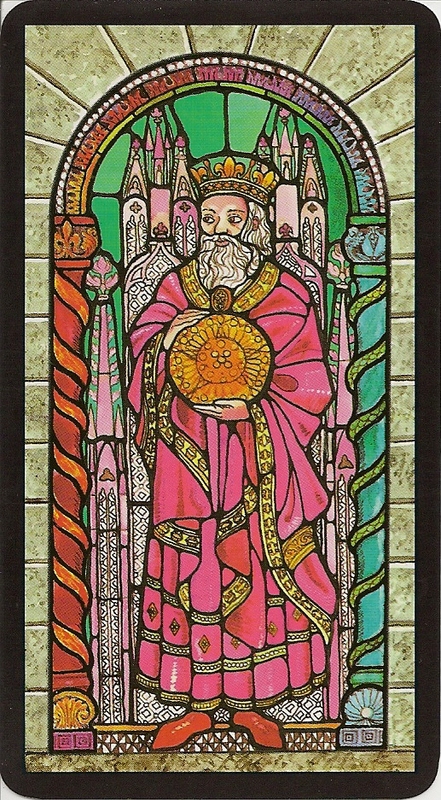 Luigi Scapini worked with his daughter Giulia to create the Tarocco delle Vetrate (Stained Glass Tarot). As a professor of art history Scapini is well aquainted with Gothic stained-glas windows and with the Aristotelian and Tomistic thought their symbology is imbued with. 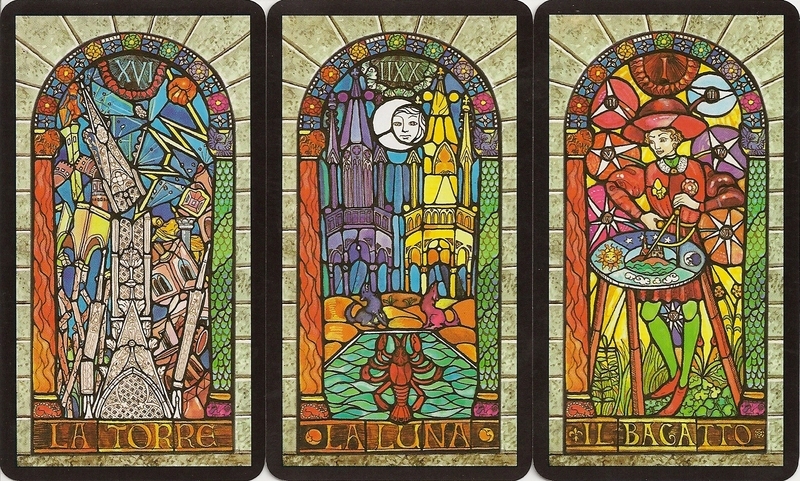 The early tarot decks appeared near the end of the Gothic era, which saw the developing sciences of stained glass windows and manuscript painting in Europe. Scapini believes that the esoteric nature of the tarot is derived largely from Neoplatonic thought and the medieval Cabbala. 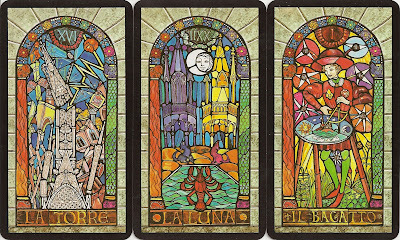 Scapini describes three primary kinds of energy represented in his deck: iod as the active component, the energy of heh connected with the world of feelings and vau, which joins iod and heh and connects with the world of balance. Each card is bordered with a sandstone arch. 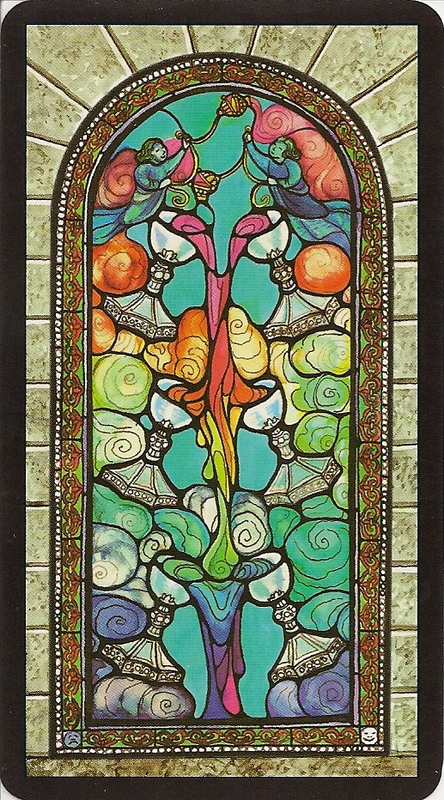 The minor cards in this deck use a huge variety of beautiful patterns, ornamentation and colors. The back design shows awindow set with clear glass rounds.